The Anam Cara Meditation Foundation, founded in 2001, is a 501 (C) 3 non-profit educational organization dedicated to teaching meditative practices from a variety of traditions. The name Anam Cara means “friend of the soul” in an ancient Gaelic. The meaning reflects the intention of the organization to provide a deep level of support to those who are interested in learning and practicing meditation, and for those engaged in the various levels of change and transformation that occur through meditative disciplines. Anam Cara’s mission is to teach meditation to anyone interested in learning it. People seek meditation instruction for stress reduction, pain management, peak performance training, improving health, relieving depression, losing weight, learning to control the mind, reducing anxiety, improving relationships, facing death, recovering from addiction, developing one’s spirituality, or the pursuit of higher states of consciousness – samadhi and nirvana. And those are just some of the reasons students have shared for beginning to learn meditation! Regardless of why a person chooses to meditate there are invaluable benefits that they will gain over time. All these goals and more can be realized through the committed practice of meditation. At Anam Cara we recognize that there are many effective ways of learning meditation. There are many great spiritual traditions that offer insight, wisdom, and practices for entering meditative states and skills for living in ways that are congruent with the pursuit of meditation. These lead to the reduction of suffering for yourself, your loved ones and for all beings. Meditation, a state of consciousness which is unexplored for most people, is actually a unique state of consciousness that is just as natural to us as the waking, dream and deep sleep states with which we are all familiar. There is no Buddhist dream state, or Hindu deep sleep state, or Christian waking state, and there is no religion or tradition that can claim the state of meditation as their own. Thus everyone, regardless of religious affiliations, can practice and benefit from meditation and view the spiritual dimensions of this state from their own perspective. The phrase “friend of the soul” reflects Anam Cara’s non-authoritarian perspective on teaching meditation. Though we recognize and respect the mastery and skill that accomplished meditation teachers from many traditions possess, we seek to promote a learning environment based on profound mutual respect for the indwelling source of wisdom, compassion and love present in every being – whether one refers to that as one’s Buddha nature, Christ nature, God, Goddess, Source or Consciousness – the Divine Presence is within everyone. A teacher may be a master of a discipline or a practice or a lineage, but they are no more divine than anyone else. Integrated practices and models of integrated non-dual spirituality are what Anam Cara supports and teaches. Anam Cara began as a weekly meditation group run by Dr. Lawrence Edwards in the fall of 2001, in Katonah, NY. This was just weeks after the tragedy of the 9/11 terrorist attacks rocked these suburbs of New York City as well as the entire world. Everyone’s peace was shattered that morning and many still struggle to find respite from the profound losses they sustained. Meditative practices offer effective ways of healing our wounds as well as realizing our true nature beyond the wounded mind/body. Meditation in general offers the means for reducing the pains and difficulties of life. If pursued with enthusiasm and dedication to their ultimate goal, meditative practices can heal all wounds and establish a person in a state of being that is both deeply connected to life and at the same time beyond the reach of suffering. In the beginning our meditation group met at local churches or yoga centers. Anam Cara was incorporated in 2002 and later gained tax exempt status as a 501 (C) 3 educational organization, allowing it to receive tax deductible donations. Donations and registration fees for the programs it offers are its main sources of funding. All proceeds will go to supporting and expanding Anam Cara’s educational programs for meditative practices. Anam Cara’s board of Directors is headed by Lawrence Edwards, PhD, Founder and Executive Director. Dr. Edwards is also President of the international Kundalini Research Network, the past President of the Northeast Regional Biofeedback Society, and an adjunct faculty member of New York Medical College. 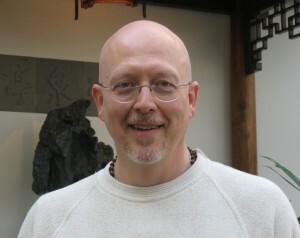 He has over 45 year of meditation training, including years spent in India training as a monk. He maintains a private practice in Armonk, NY. Please visit OPTIMAL MIND® for more information about Dr. Edwards’ clinical work. Anam Cara has sponsored programs given by the Tibetan Buddhist master of the ancient Nyingma tradition, Tsewong Sitar Rinpoche who heads the 600 year old Sangye Teng monastery in Bhutan; the late Swami Chetan Jyoti Ma from Rishikesh, India and Lawrence Edwards, PhD. It has offered free meditation seminars at local hospitals, libraries, schools, churches and universities. Anam Cara also distributes a free e-newsletter in support of people’s ongoing meditation practices. We also provide free written and audio meditation instructions on this website. Our free monthly enewsletter includes wisdom quotes from the world’s great meditative traditions and program information for upcoming retreats and courses. The Anam Cara weekly meditation group celebrated its 17th anniversary in October 2018. People from all over the United States, as well as Canada and Europe have attended Anam Cara programs. We look forward to continued expansion and more teachers coming to offer their wisdom and experience to people attending our programs. If your group would like to arrange for Anam Cara to offer a program tailored to your group’s needs, please contact us at 914-219-8600. You can also support Anam Cara through Amazon by purchasing whatever you like through the link below. At no cost to you they will give a small percentage of purchases to Anam Cara.